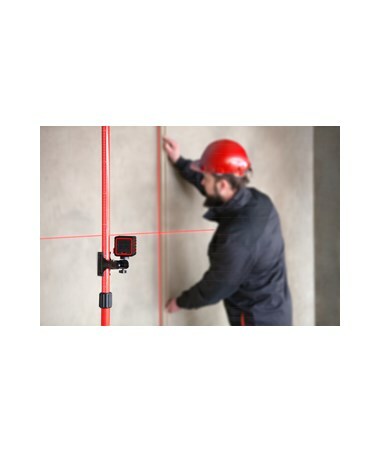 The AdirPro CUBE laser is a cross line laser level. 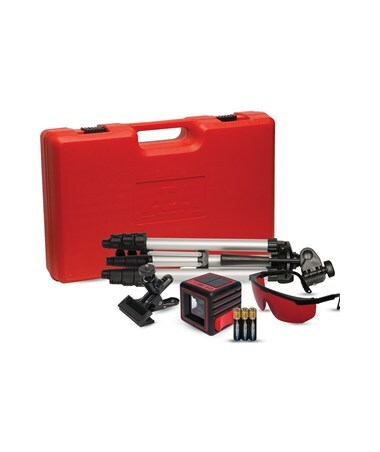 This unit is self-leveling with a vertical accuracy range of within 3 degrees. 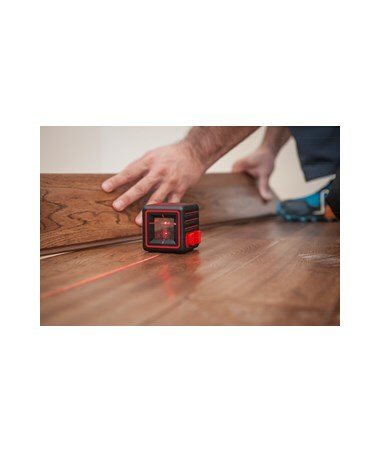 The working range of this laser is up to 66 feet, depending on the work area’s illumination. 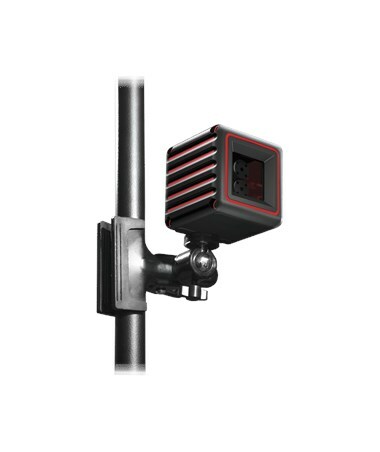 The two separate line beams are generated from 635nm laser diodes. 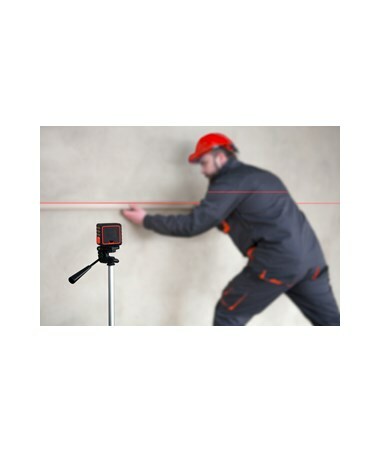 The line beams have an accuracy of ±1/16 inch at 30 feet (±2mm at 10m). 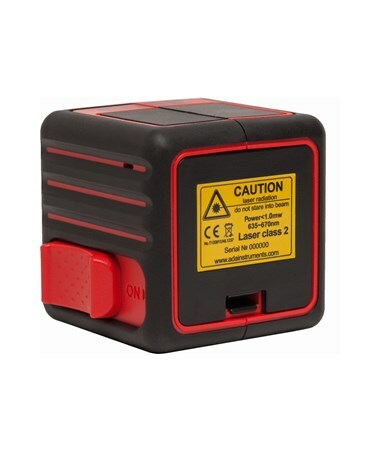 The CUBE laser level is a compact, practical option for basic cross line leveling work. 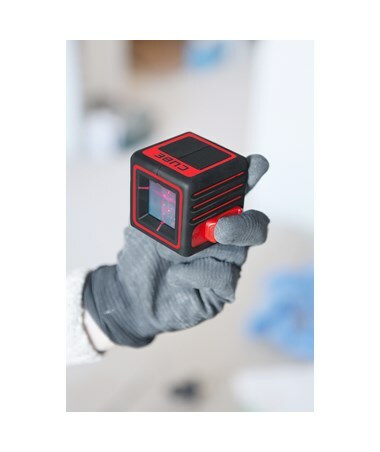 Measuring at 2 5/83”, the laser can fit comfortably in the palm of your hand. 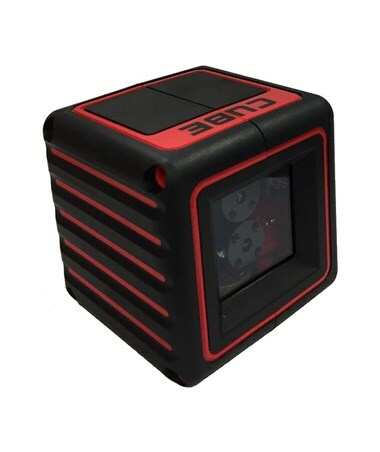 It has a hard plastic housing to protect the laser beams and pendulum leveling system within. 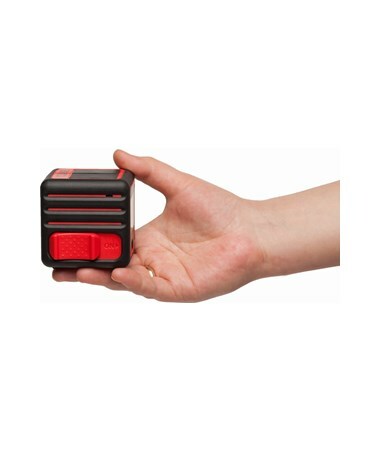 The housing has a ribbed rubber casing that protects it from scratches while giving extra friction to make it slip resistant. There are 2 separate laser beams, one horizontal and the other vertical, with a maximum deviation (vertically) of just 3°. 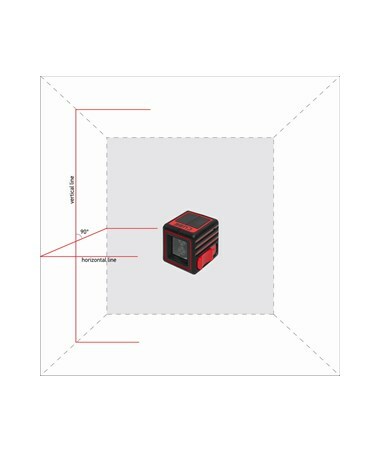 This allows for intersecting layouts that require right angles. 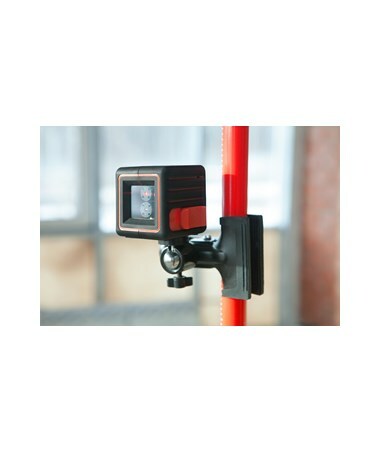 It’s ideal for hanging shelves, pictures, or any wall ornament. 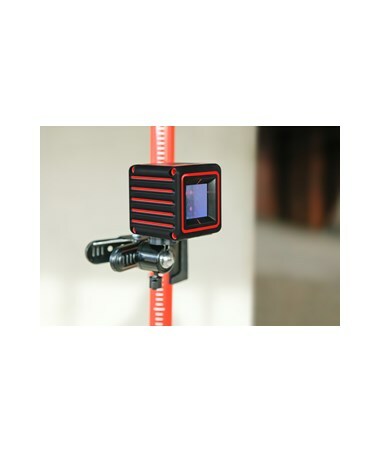 It’s a great option to use while hanging wallpapers, placing electrical wiring conduits, as a guide for suspended ceilings, and the like. 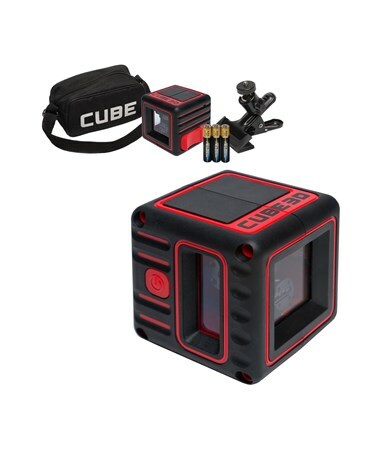 The CUBE has a quick pendulum self-leveling system. 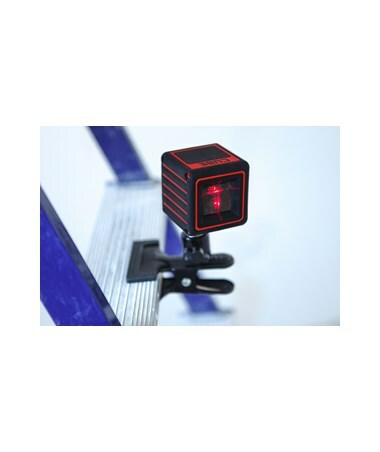 Additionally, there is a locking system that is automatically engaged when the laser is switched off to protect the system’s integrity during transportation. 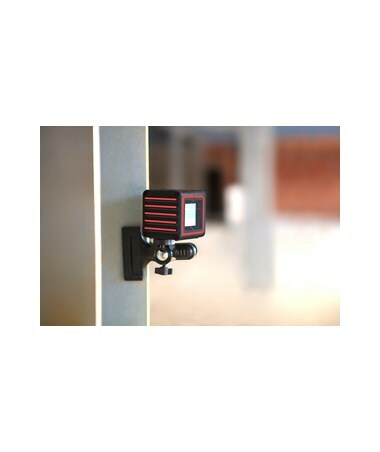 When turned on, the level will beep if it is out of leveling range. 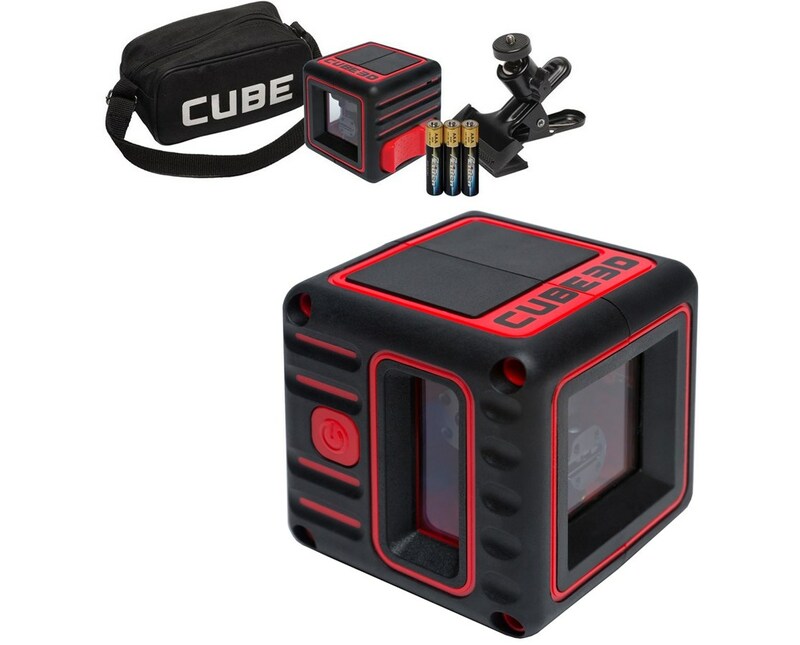 The CUBE laser level has one mounting nut with a ¼” thread at the bottom of the unit. 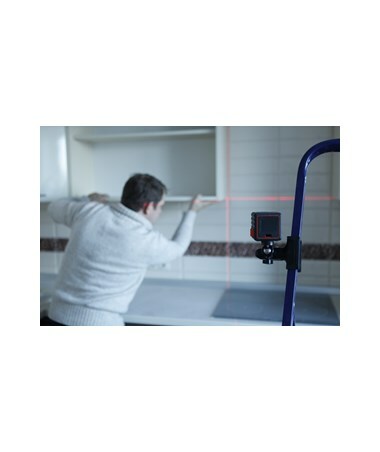 This allows you to mount it either to a bracket or a tripod for security. 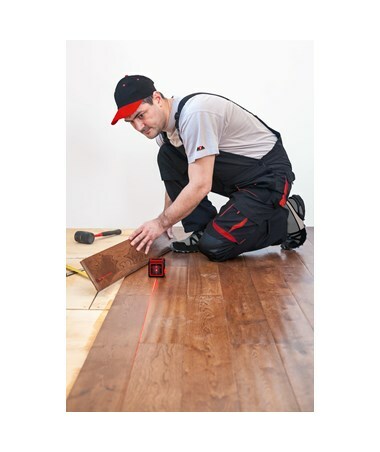 The unit can be placed on a regular surface, but securing it usually guarantees less movement for more accurate work. 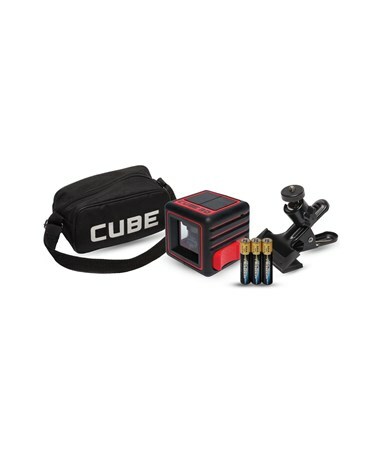 The CUBE comes with a soft bag cover, a set of AAA batteries, and an instructions manual. 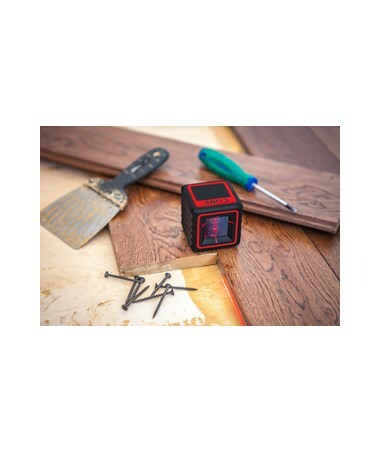 When you purchase the Home Edition you get the universal mount added to the package. 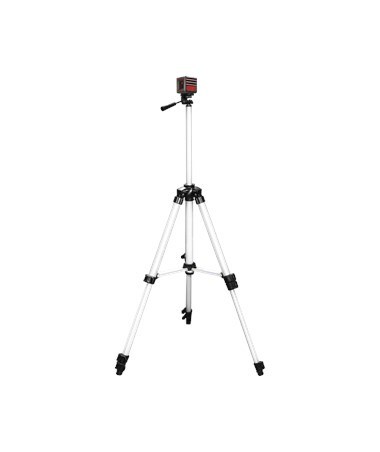 If you purchase the Professional Edition you get a telescoping tripod (up to 3' high) added to the package (instead of the mount). 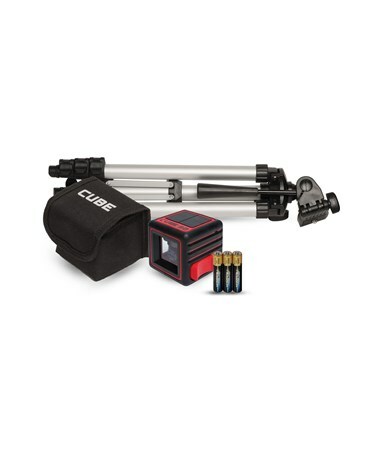 And when you purchase the Ultimate Edition you get both the mount and the tripod added to the package, along with laser glasses and an orange hard plastic case (instead of the soft bag cover) for the entire kit.